In our family we let our kids have a birthday party with friends every other year. 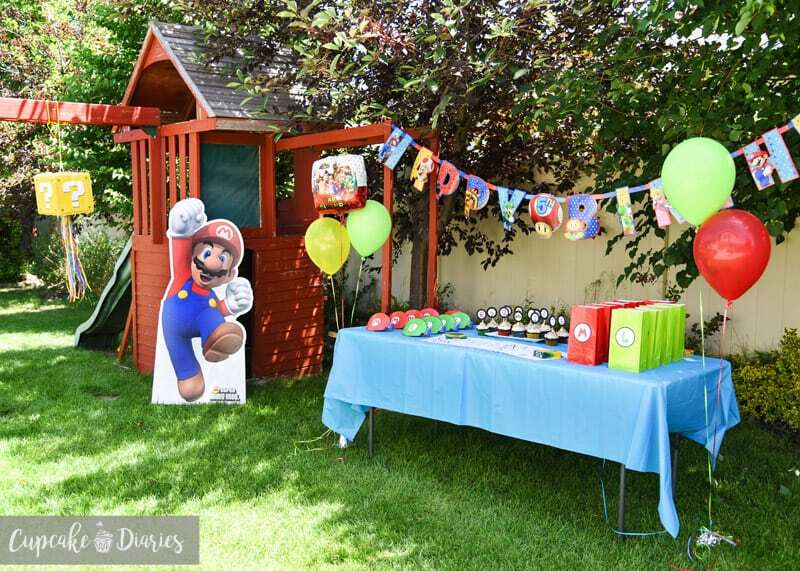 When my second son turned five he chose a Super Mario Bros. birthday party and it was so much fun to put together! 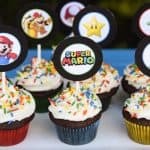 I’ve always loved Mario and Nintendo in general, but putting a party together for a bunch of five year olds was its own level of fun. 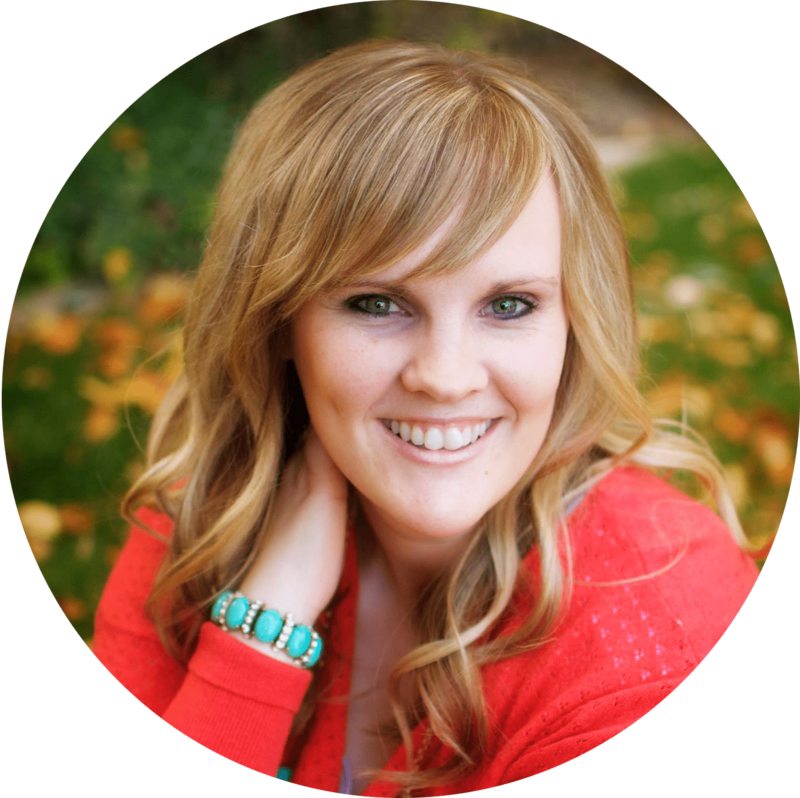 I created this party with my fantastic readers in mind so I could put it on my blog. 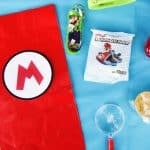 Now you have all the ideas you’ll need to create your own Super Mario Bros. birthday party from start to finish. 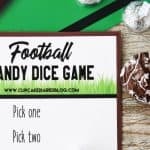 Including free printables! Imagine three kids, a boy and twin girls around 8 to 10 years old, sitting on the floor in front of a TV they have to physically walk up to and change the channel till they get to what looks like a white screen with a bunch of tiny black ants crawling around. That was how they knew they reached THE channel. The channel that would allow them to push the switch on their Super Nintendo game console for hours of entertainment brought to them by Mario and friends. 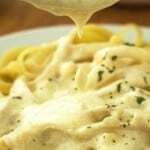 Our favorite games were Super Mario Kart and Mario Bros. (original, 2, and 3). We really could spend hours on that thing, but our dear mother was very good about kicking us outside to go build a fort or ride our bikes. It was kind of an amazing childhood. In a nutshell, while playing Super Mario Bros. you control Mario as player one and whoever gets player two represents Mario’s brother, Luigi. Their goal is to travel through the mushroom kingdom to save Princess Toadstool from the bad guy, Bowser. Along the way you get all kinds of cool helps such as fire power and and stars. 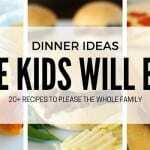 I love that my kids love it as much as I did! I used two rectangular tables for this party – one for the kids’ lunch and one for the main table with the goody bags, hats, dessert, etc. (pictured above) I bought the same blue table cover for each table. 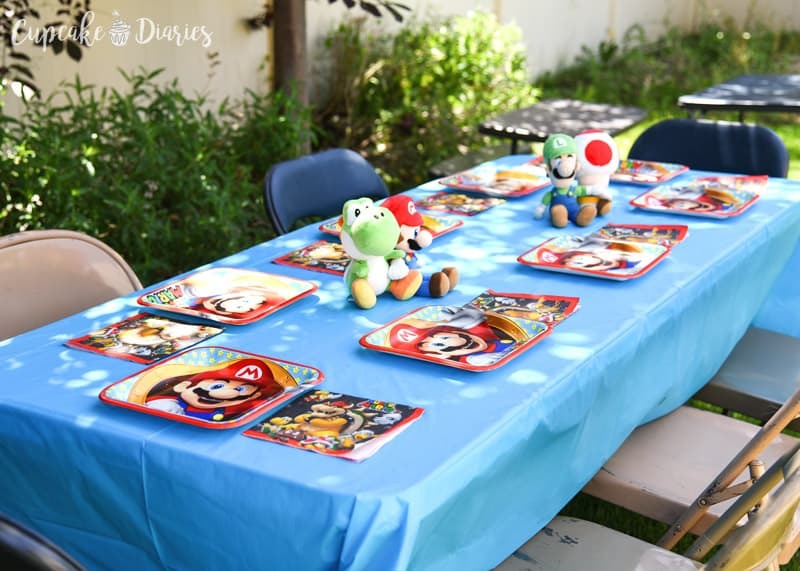 I loved the look of the caribbean blue table covers against the classic Super Mario Bros. colors. 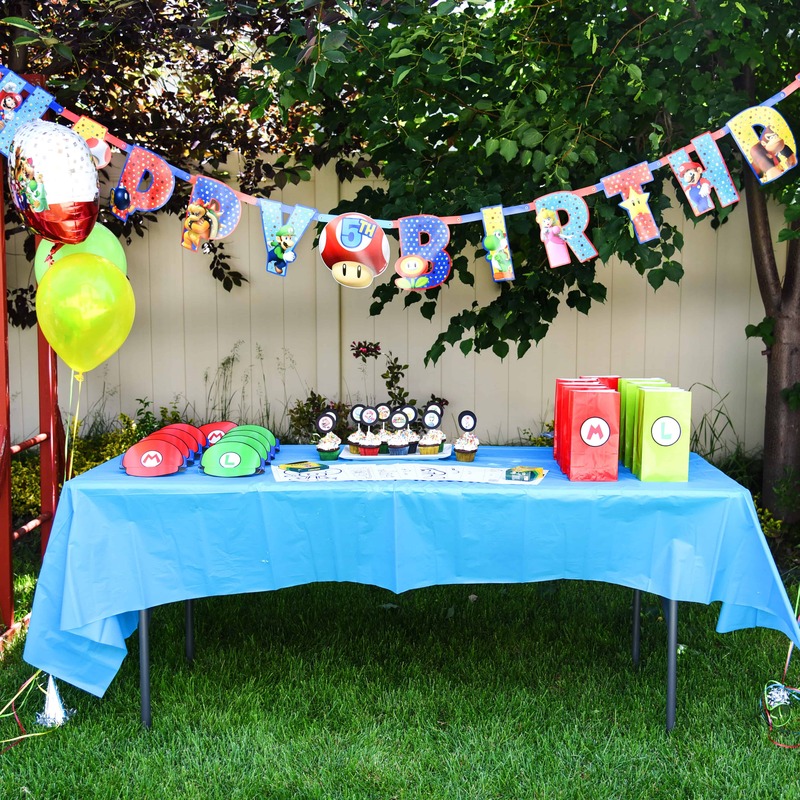 I love the jumbo letter birthday banner I found (pictured above). It comes with a bunch of different numbers so you can make the banner work for however old your child is turning. Balloons are such an easy and inexpensive way to add color to a party! I usually buy one mylar balloon and five latex balloons to put three on each end of the main table (pictured in the first photo above). My favorite place for balloons is usually a local party store, but Walmart also has a great selection. Be sure to get high float in your balloons so they don’t deflate too soon! You can also buy them the night before the party with the high float. The kids wore Mario and Luigi paper hats during the party. The hats also worked great to take up some space on the table as decorations when the kids first got to to the party (pictured in the first photo above). My kids have Super Mario plush dolls so it was really great being able to just put them on display. We put Mario, Luigi, Yoshi, and Toad on the table where the kids had lunch (pictured above and below). They worked perfectly as little centerpieces! I bought a pack of Mario tableware with 16 cups, plates, and napkins (pictured above). This particular pack comes with a plastic table cover that can be used for either of your rectangular tables. I used ours for the gift table (not shown). 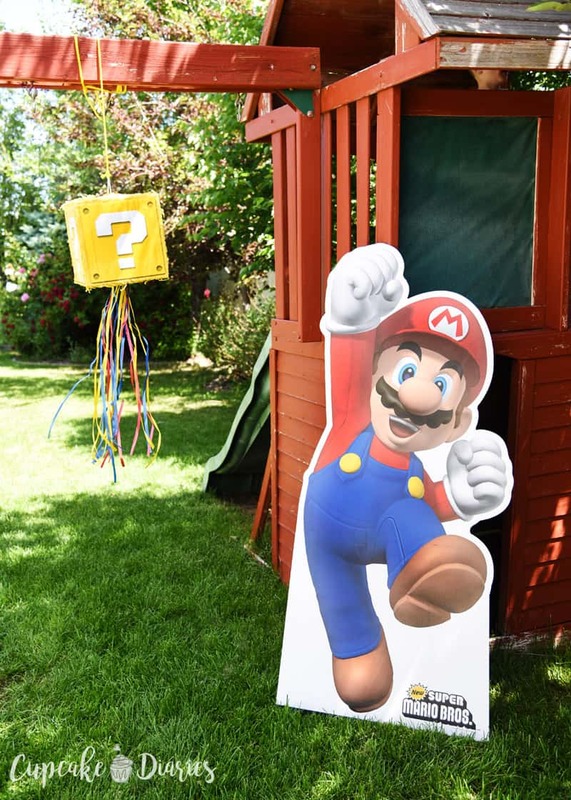 One of my favorite parts of the entire party was the Mario cardboard standup (pictured above). We don’t always buy cardboard standups for parties, but they always add a TON to the decor when we do. 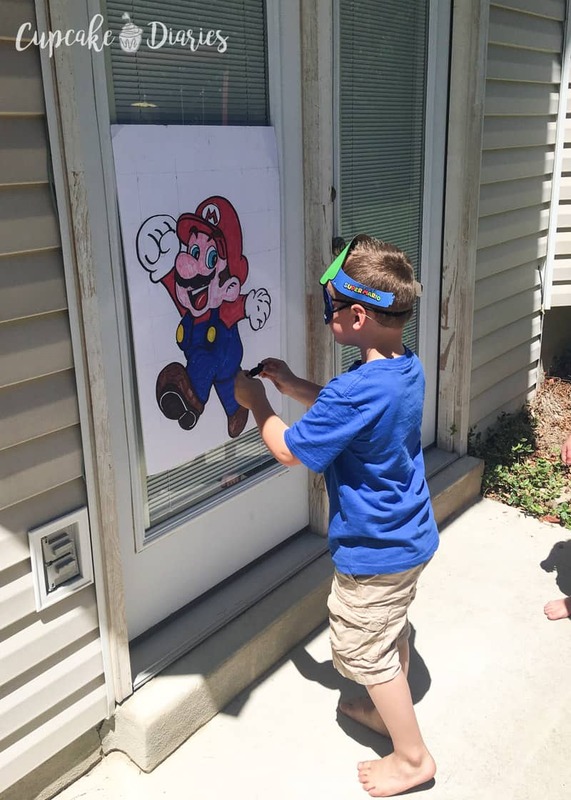 My son and his friends thought that Mario was so cool! And now he stands in my son’s room that he has carefully decorated with other Super Mario Bros. treasures, including the cutest Super Mario Bros. wall decals. The first thing the kids did when they got to the party was put on their Mario and Luigi paper hats and then they sat down for a pizza lunch. 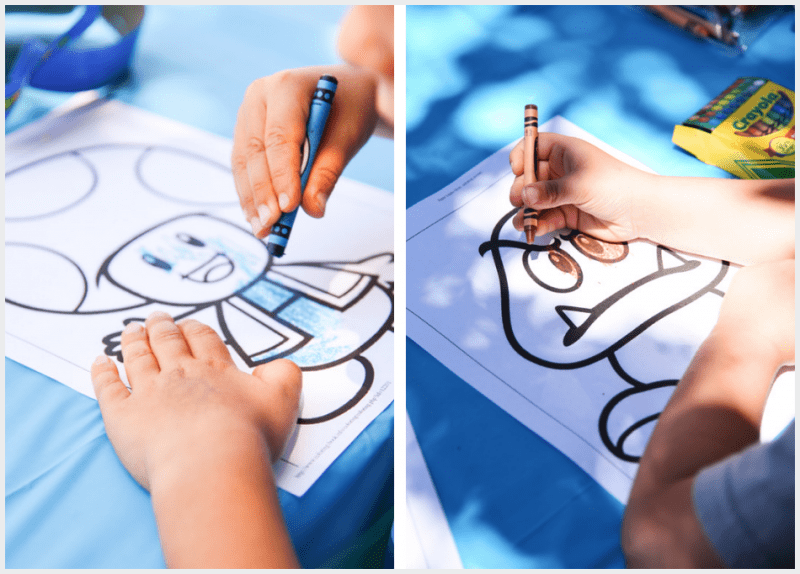 After eating pizza, we cleared the table and gave the kids Super Mario Bros. coloring pages that would be used for a candy bar walk. Before the game I had written the names of each of the characters on the coloring pages on little pieces of paper. I put the kids’ finished pictures in sheet protectors and placed them on the grass in a circle. I purchased the classic Super Mario Bros. original theme song and played it through a bluetooth speaker to use for this game. When the music played, they walked in a circle until it stopped. Then I pulled one of the names from a bowl and whoever was on that spot got to pick a candy bar. 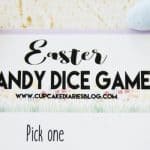 The game continued until each child won a candy bar. 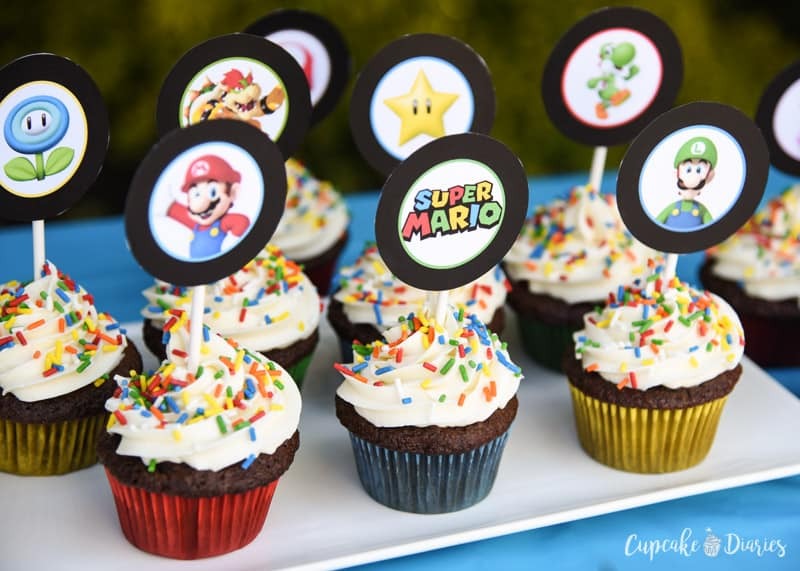 I decided to go the simplest route possible with this party by ordering pizza and making Super Mario Bros. Cupcakes (pictured above) instead of a cake. 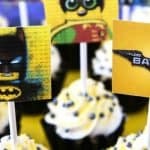 And I made things extra easy for you by creating these cupcake toppers for you to download and print! The kids absolutely loved this dessert. One of my favorite parts of a birthday party is the goody bag. 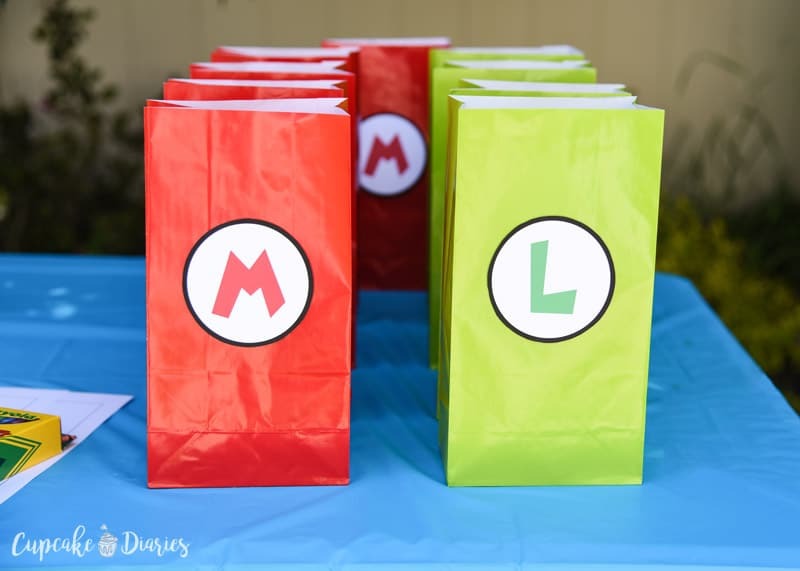 These Mario and Luigi bags were super easy to put together. I wrote an entire blog post about this bag, including how to get the M’s and L’s and what to put inside the bags. You can get all that info here! And there you have it! 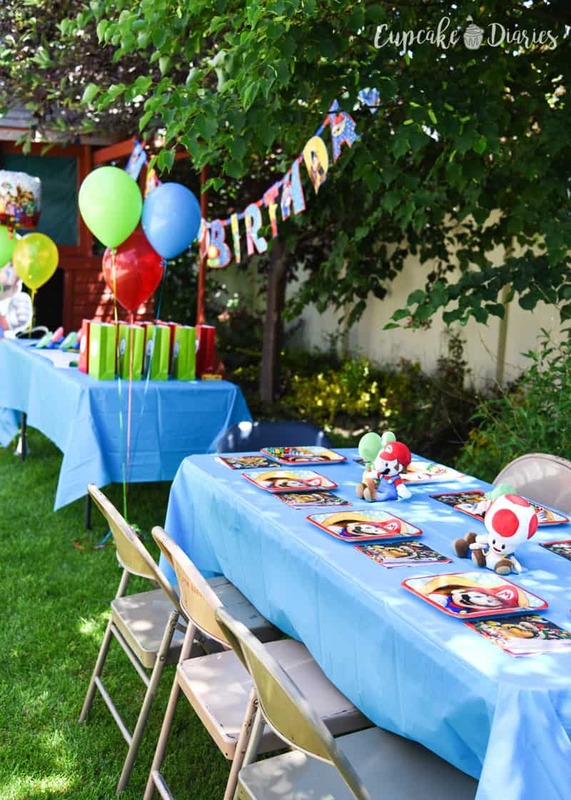 One entire Super Mario Bros. birthday party from start to finish. 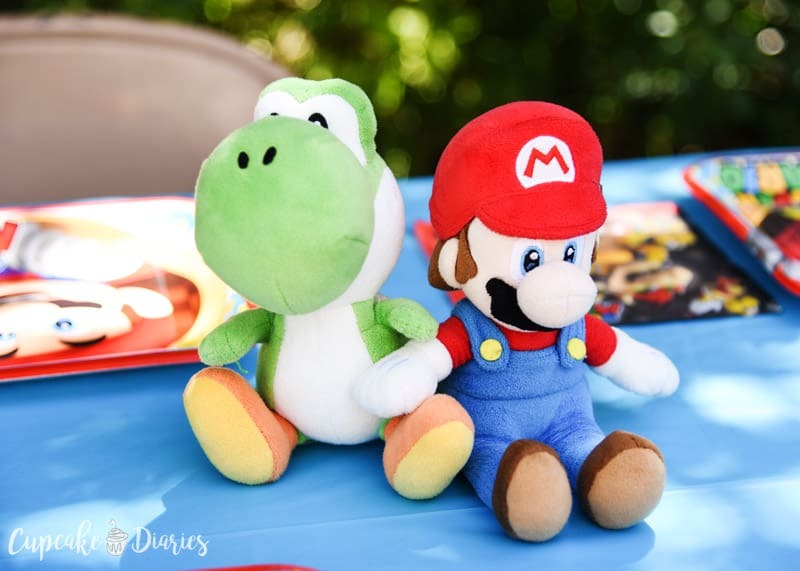 This was such a fun party and I really want to do another Mario party again. I’m sure my three year old will eventually want one! He’s been obsessed with Mario for over a year and a half. 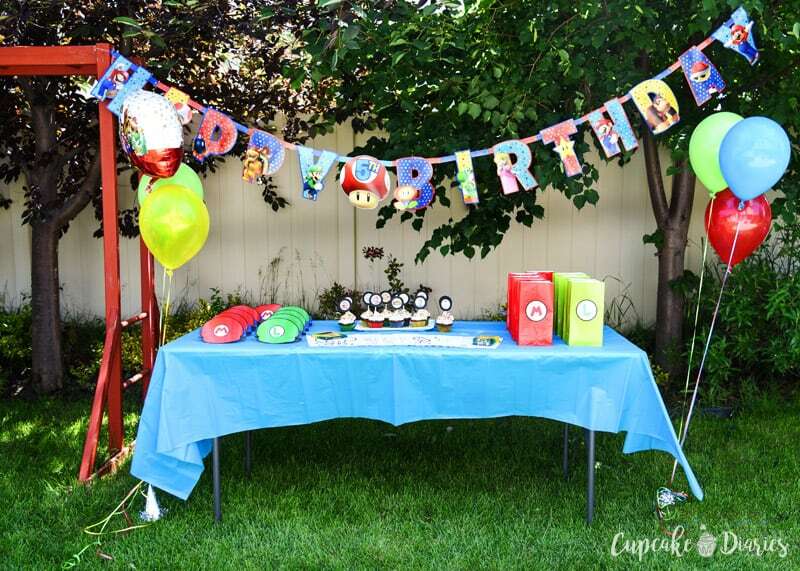 I hope you loved these party ideas!